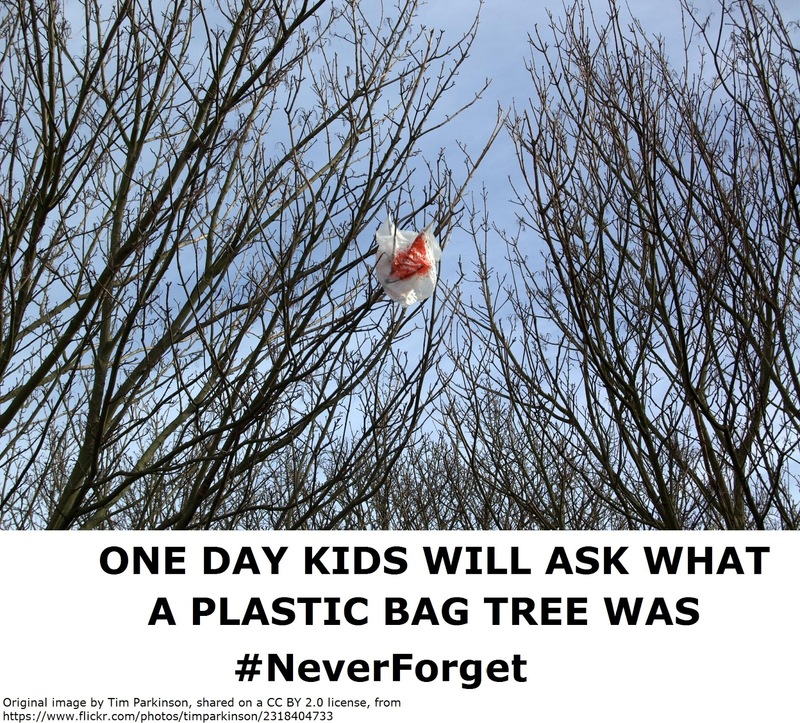 One day, one of us will talk about a "Plastic Bag Tree". And someone younger than us (but not that young) will ask what we're talking about. Here in England, we've had a change in the law which means that (except for many tiny loopholes) supermarkets have to charge us 5p (about 8 cents) for a carrier bag (aka plastic bag in other parts of the world). So they've basically vanished overnight. Where we once had a cupboard under the sink full of plastic bags, we now have empty space. Where I used to take a plastic bag to hold a bacon sandwich and a scone from the works canteen, I now use the slightly less modern but still effective tool otherwise known as "a hand". Indeed, balancing shopping in a tower in one hand is now well on its way to become an Olympic sport. The plastic bag tax should lead to a huge reduction in the use of bags, which is good for the environment, although hopefully people won't move to stealing supermarket baskets instead (which has happened in the past). Obviously I can only really talk for myself, but I do find it interesting how people can apparently change their patterns of behaviour so easily, and it's not as though anyone thought all those billions of plastic bags being used once and then being put in the bin were good for the environment, but by and large a great number of people were happy to just get their free plastic bag, yet now they have to pay 5p for them suddenly they discover that they can manage quite readily. I walked to work this morning with aching hands holding a large box of leftover Chinese food, two safety boots, a hard hat, and a hi-vis waistcoat, whilst also carrying a laptop bag on my shoulder, because I wasn't going to go and use a 5p carrier bag to put everything in. 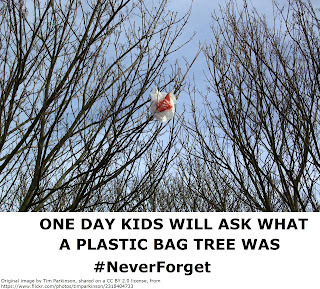 Anyway, should anyone be in the need for a plastic bag, let me know - I can let you have a pre-loved one for just 4p. In the US it is our right to have plastic bags filled with plastic bags, and we love it. If you get some offers let me know and I will send tons of them. So sorry to hear about the misfortune of having to use your hands, Mike! What a ridiculous tax. Think of it this way, because of all the balancing you have to do, you have acquired a new skill set.